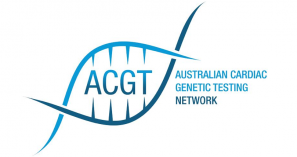 The Registry was established in 2007 to collect valuable information on Australian families with genetic heart disease to provide a better understanding of these conditions in Australia. The Registry started as part of a PhD project for Registry Coordinator Dr Jodie Ingles and it has grown into an increasingly important research project. Jodie recently completed her PhD but she will continue our valuable work on the Registry to seek answers for critical questions about genetic heart disease in Australia. This work will be carried out with Professor Chris Semsarian and the support of the dedicated team on the Registry’s Research Advisory Committee. If you are a first-degree relative that has a genetic heart disease you can help us save lives by enrolling in the Registry. Find out how you can enrol today.